17 – 19 January 2019. Berlin. The 11th Global Forum for Food and Agriculture (GFFA) was held on the subject “Agriculture Goes Digital – Smart Solutions for Future Farming”. 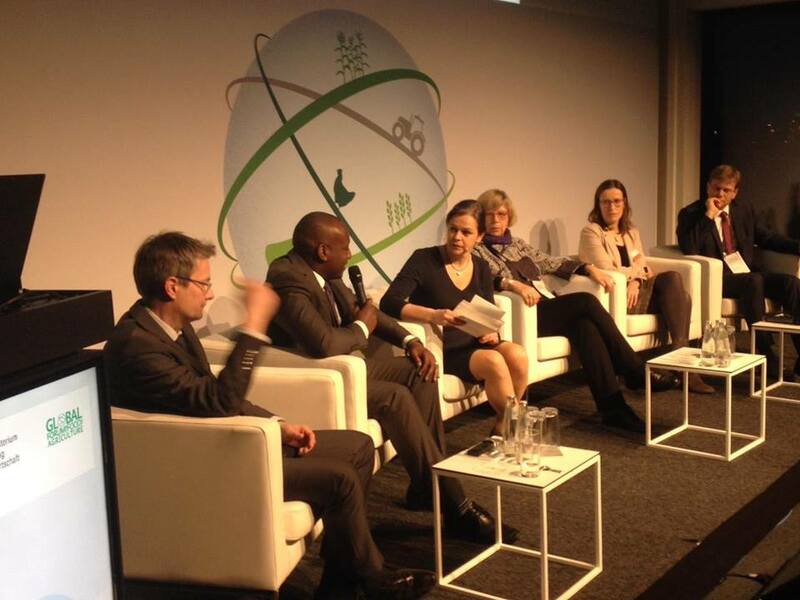 A total of 15 expert panels were held at the GFFA, each with around 130 participants. 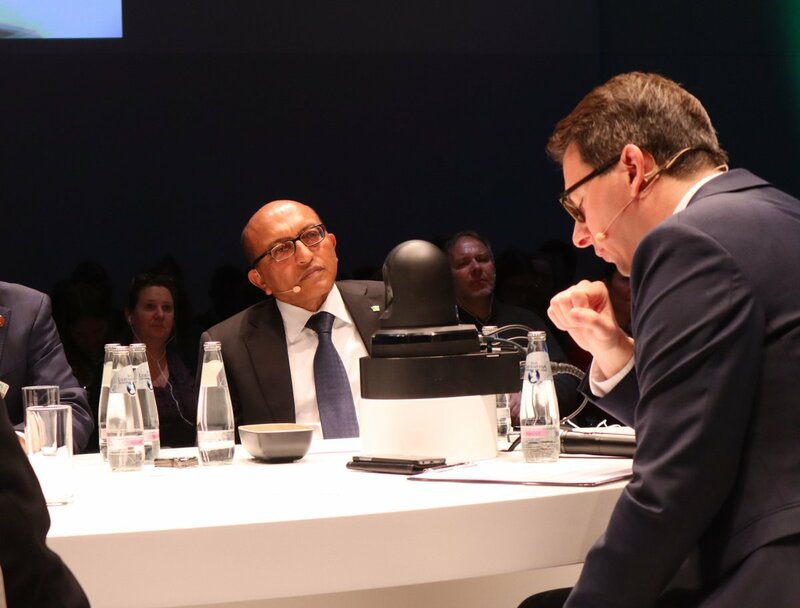 The different perspectives and focuses of the GFFA theme of “Agriculture Goes Digital – Smart Solutions for Future Farming” were highlighted and debated in depth. The expert panels were organised by national and international organisations, associations, diplomatic and consular missions and ministries of agriculture, universities and research institutes. 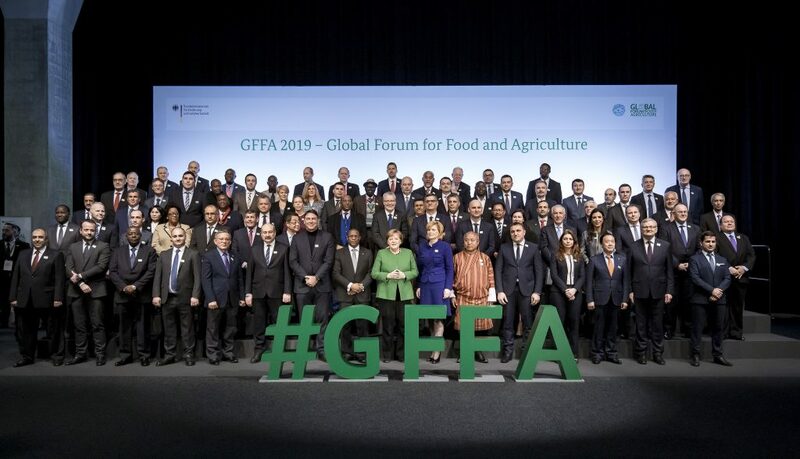 We, the agriculture ministers assembled at GFFA 2019, aim to use the potential of digitalization to increase agricultural production and productivity, while improving sustainability, efficient use of resources, employment and entrepreneurial opportunities and living conditions, especially in rural areas. 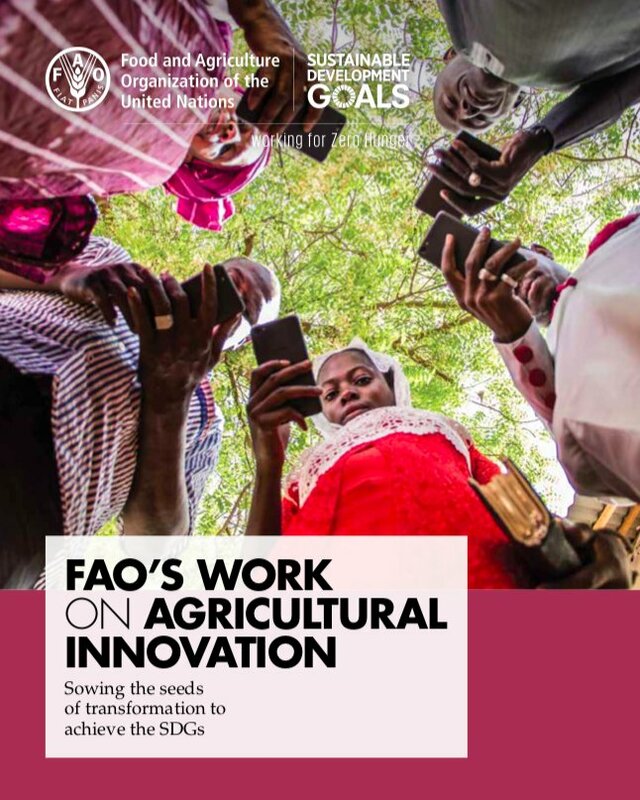 This includes considering the establishment of an international Digital Council for Food and Agriculture that will advise governments and other relevant actors and encourage the FAO, with the involvement of other stakeholders, to draw up a technology impact assessment of the opportunities and risks presented by digitalization for agriculture and rural areas. smallholders and family farmers’ challenges and barriers in accessing and utilizing data and innovative technologies to improve food security and nutrition, through country case examples. the role and interventions of governments, civil society, private sector, academia, and farmers to address both challenges and barriers to ensure sustained benefits for family farmers. governmental strategies and policy options for creating an enabling environment to bridge the rural digital divide and create opportunities for rural youth, smallholders and family farmers, and to improve rural livelihoods and sustainability of agrifood systems. EC: Sowing the seeds of Digitalisation: What’s in it for food security and market transparency? What should be the contribution of digitalisation to meet SDG2 and 12? What have you done in your country to make better use of digital technologies in the agricultural sector? What are we missing? What role for research & innovation, vocational training and extension services to improve market transparency? 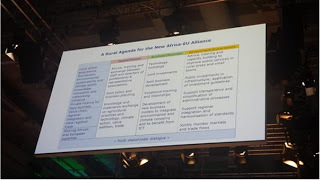 The European Commission Directorate-General for Agriculture and Rural Development in cooperation with the Directorate-General for Development Cooperation set up a Task Force Rural Africa (‘TFRA’) in spring 2018. The TFRA consists of 11 members with high-level expertise and experience in agriculture and rural development in Africa and in Europe. TFRA chairperson, Mr Tom Arnold, provided an overview about the work of the Task Force and present the proposals and recommendations for discussion with the participants of the “Fachpodium”. The long-term objective of WTO agricultural negotiations is a fair and market-oriented agricultural trading system. Fewer restrictions and distortions in agricultural trade lead to competitive, healthy and sustainable development in the sector and allow for the most economic and eco-efficient supply of food to all consumers. This view seems to be questioned by more and more countries. What are the concerns behind this criticism and how to address them? What might be the solutions for the stalled multilateral negotiations? Is protectionism helping or harming the sustainable development and food security in developing countries? Which economy wide policy combinations are needed to support agricultural and trade policies in effectively boosting rural development worldwide? An international panel of experts was hosted by the Food and Agriculture Organization of the United Nations (FAO), the World Organisation for Animal Health (OIE), the International Livestock Research Institute (ILRI) and the Global Agenda for Sustainable Livestock (GASL). 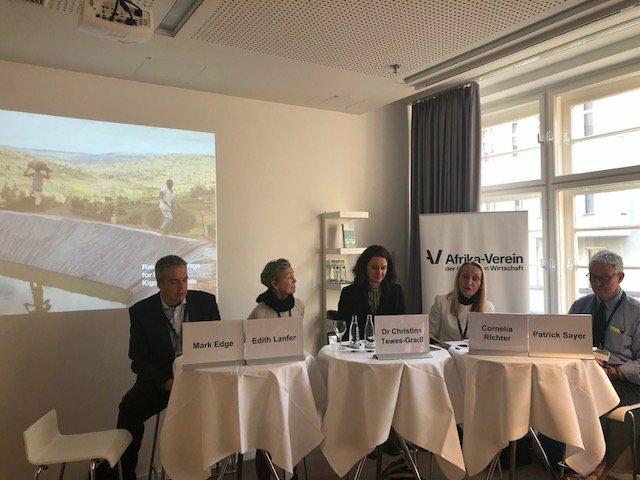 The workshop linked the results of the GFFA 2018 (“Shaping the future of livestock – sustainably, responsibly, efficiently”) with the topic of the GFFA 2019 “Agriculture Goes Digital – Smart Solutions for Future Farming” and analysed how GFFA 2019 could build on last year’s work. 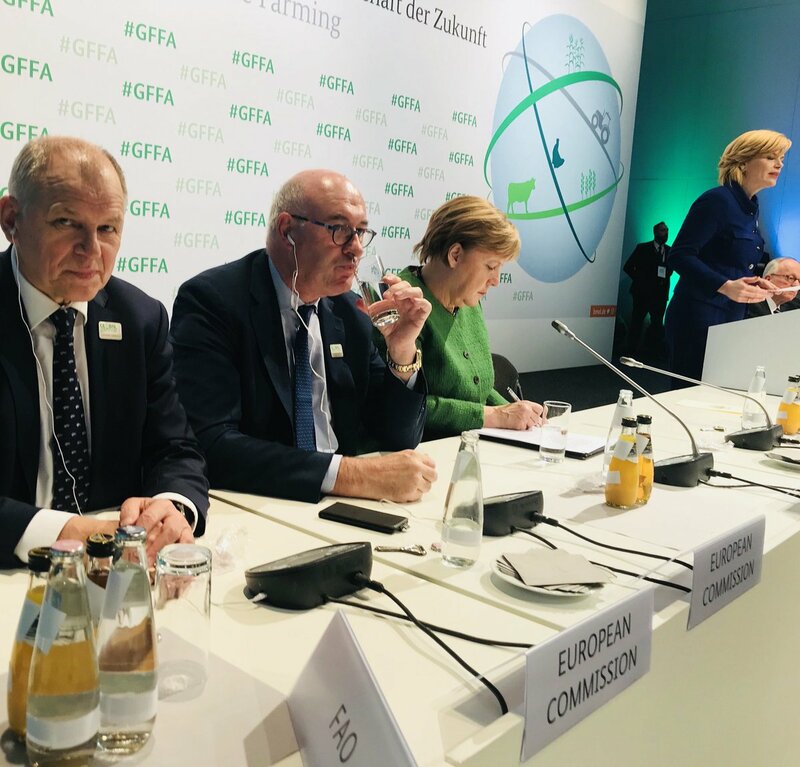 From digital farms to digital consumers – Digital transformation in the global agri and food business – Organiser: GFFA e. V.
Related: 18-27 January 2019. The 84th (93 years) International Green Week. Founded in Berlin in the Golden 20s (1926), IGW is a one-of-a-kind international exhibition of the food, agriculture and gardening industries.